Photographers are a dime a dozen these days, as the volume increases it seems as though the quality decreases. Create My Story Photography is turning that around with their professionalism and value which is so difficult to come across currently. Create My Story is the project of photographer, Lisa Anderson, who does her utmost best to make her subjects feel special. A session with Lisa isn't rushed, and it's extremely comfortable. She gives you an entire memorable experience which is part of the story that she is creating for each subject. 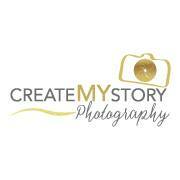 Create My Story is currently generating momentum with their exquisite photography, if you're looking for a photographer, let Lisa create you're story.